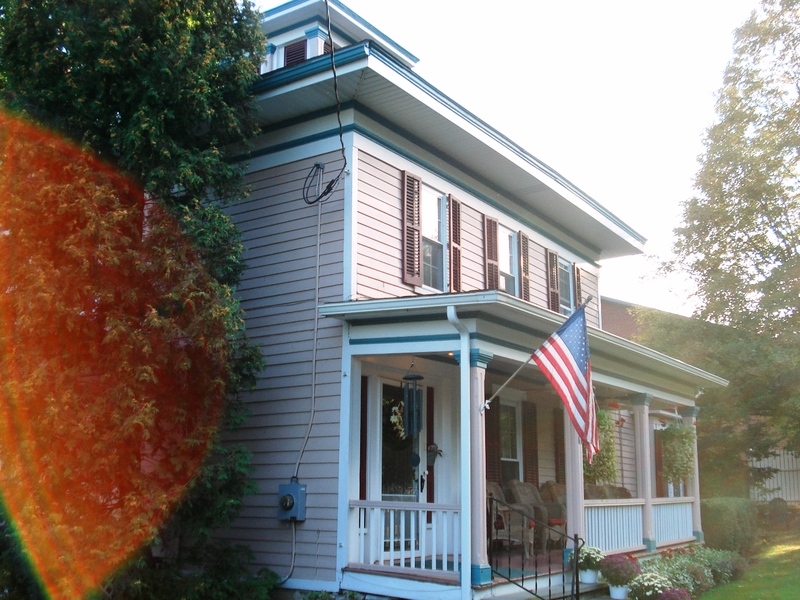 After leaving Watkins Glen, we headed for Hammondsport and our bed and breakfast. 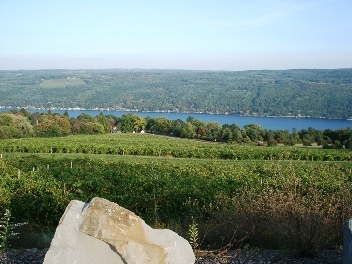 Hammondsport is at the southern tip of Keuka Lake. It was called “America’s coolest small town” by Budget Travel. I will have to say it’s nice but as someone who grew up near small towns, it takes someone who rarely spent time in one to find the lack of amenities “charming”. I suppose that internet shopping can take care of such things but I don’t find having to drive a half an hour to get to anything to be that much fun. We stayed at the Blushing Rose B&B. (our room was the Twilight Room) The room was very nice, having a large bed (it was quite high and had a set of steps to get into it). We were also fed huge breakfasts (eggs benedict, hash brown nests with scrambled eggs, pastries, fruit, etc) I’m not used to eating much in the morning and though tasty, it was pretty much a guarantee to an upset stomach. We learned to be much less greedy after the first day. 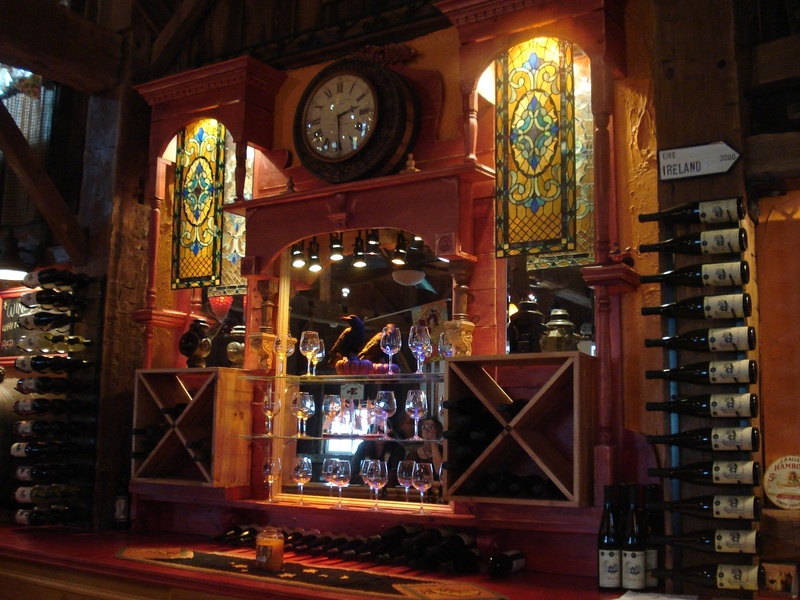 After settling in, we headed to Bully Hill Vineyards and winery. Be aware that you have to go a crazy steep road to get there and it definitely had me clutching the armrest (I don’t like heights). They have a restaurant there and we had reservations for the evening. We had lucked into a nice spate of weather and were able to eat outside on their deck. We both like their wines but the food was not that great. I had the variety plate of smoked meats and my husband had the scallops. The meat tasted good but was dry as smoked meats often are and the house made bbq sauces were a welcome relief; the scallops were very good on their bed of wilted spinach. From the deck, you can probably see 20 miles over the rolling hills/low mountains of the area. We have enjoyed Bully Hill wines for a number of years. They do tend to be on the sweeter side, though they do have drier wines available only at the facility (quite a few wineries do that, having limited bottlings only at the winery). We bought a bottle of one limited variety called Seasons, a white . I did want to try the Space Shuttle Red, but we thought we’d return to the winery to get it and ended up not doing so. The Seasons got drank that evening on the porch of the B&B, while we watched the lake and the people returning from the local storytelling festival. 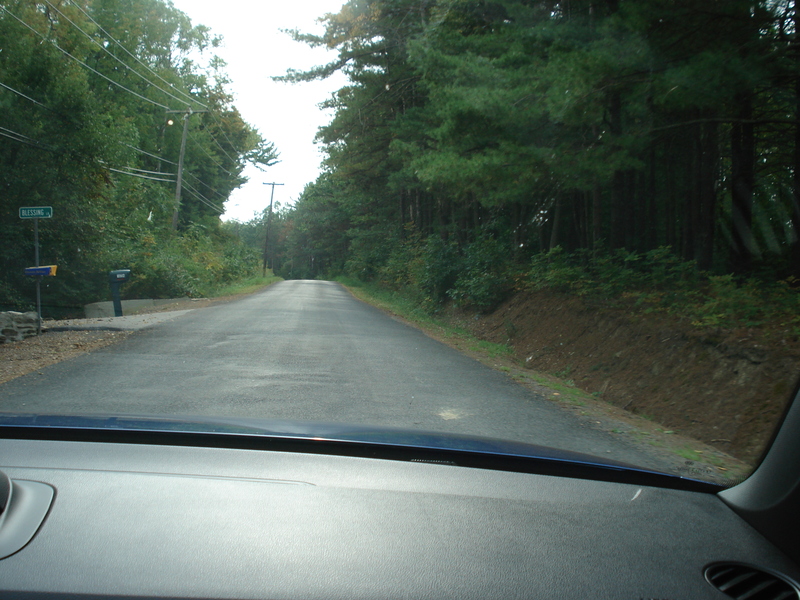 The next day, cloudy but nice, found us heading north along the east shore of Keuka Lake. Our ultimate destination was a restaurant at the northern tip of Lake Seneca, in the town of Geneva. We did not stop at every single winery as many people seem to do. You do get to see the same people as you go along. Most, if not all, wine, beer, distilled products, etc tastings are for a charge, anywhere from around $2 – $6. You usually get a handful of generous pours and sometimes a snack (you often get the fee returned to you if you buy a bottle or two). You will get very tired of tasting wine (and tipsy) if you don’t pace yourself. Snce the wineries are often on backroads, that can be a problem if you aren’t thinking straight. The first winery of the day was the Ravines Wine Cellars. 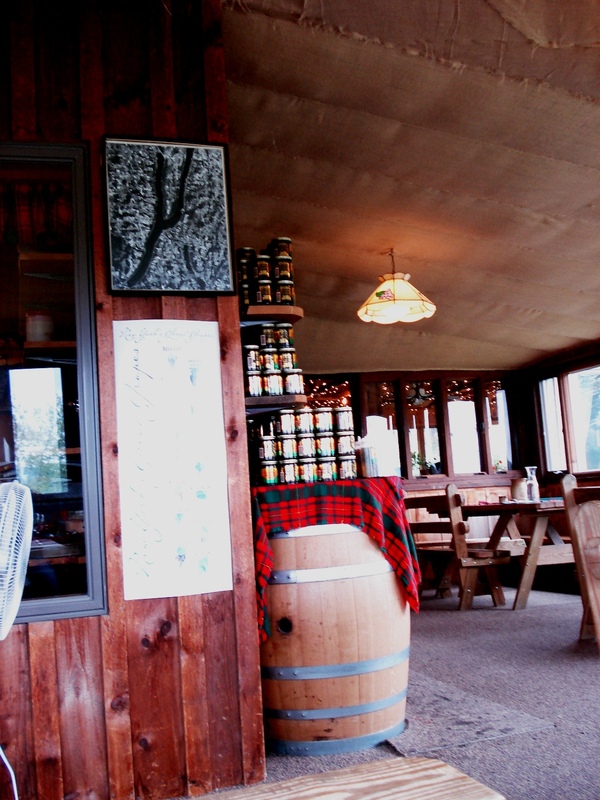 They have several tasting rooms around the region. They offer a regular tasting and then a pair of tastings with either chocolates or cheeses. We got the regular tasting and ended up walking out with a bottle of Keuka Village Red. These wines were probably a bit more expensive than some wineries, but they were probably the best we had during our vacation. The red we got was excellent, a lovely pepperiness that went well with beef. My husband thinks that wineries should offer silvers of grilled beef as a tasting accompaniment to drive up their red sales…. Just up the road were more wineries, they really are that close and that prolific. We chose to stop at McGregor Vineyards. It looked the most like a working farm and the tasting room struck me as quite a lot like the tractor shed at the farm I grew up on, of course with much nicer décor. When we got there a small busload of people were just finishing up. That is one of the possible problems when you go wine tasting, you might end up behind 60 people who are on a tour. We got lucky and never had to deal with that. We tried quite a few of their wines between the two of us. I loved the moscato blend, the name I can’t recall and it’s not on their website; it had the scent of orange blossoms and jasmine. We did try the expensive Black Russian red, made from some rather unusual grapes, Saperavi & Sereksiya Charni. It was a good dry red but I didn’t think it was worth twice what the other wines were. We bought the Highland Red, a red blend to our tastes. They had a great pesto as a dip for crackers, the Whole in the Wall spinach pesto. Intensely garlicy, and a way to get my husband to eat spinach…. After this, we hit Penn Yan to visit a cider mill and lunch. The cider mill was a bit of a let down, described as much more interesting than it was, though they did have good fresh cake donuts. Lunch was at one of the diner types in town and I got a huge tuna melt. This on top of the huge breakfast was not a good idea. 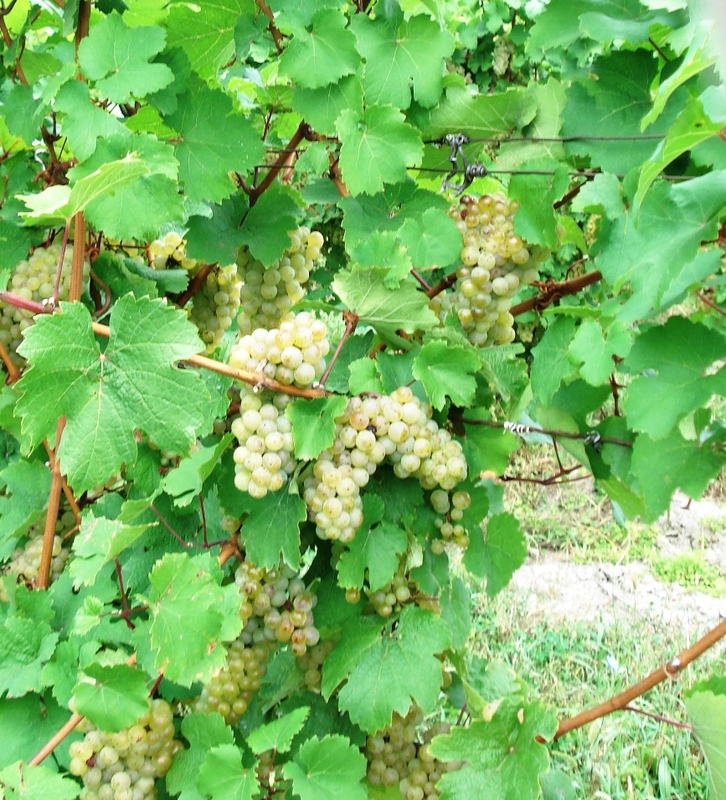 We headed over to the west shore of Seneca Lake, to hit a few more wineries as we made our way to Geneva. Serenity Vineyards is a place for bone dry reds and whites, something that we don’t have a taste for. We were getting a little tired of wine so we found Lacey Magruder Vineyard and Winery (annoying auto play music on the website) that now has some brewing. Beers were good there, the other patrons not so much. There was a huge stretch limo (tours are also offered in those) that had tipsy women in it who thought that the winery owners evidently need to also run a dry cleaning business to clean their clothes when they spilled red wine on themselves. Their tasting room was great, a oldish barn, and the fancy mirrored bar behind it is lovely. What I like best about it is that it’s created from standard wood turnings and mouldings from any lumber store but they made it look great. Done with tasting for the day, we finally got to our destination, Geneva and the restaurant, Beef and Brew. The restaurant offers a whole pig roast on Saturdays, which was the entire reason to go visit them. We thought that there was no need for reservations since Saturdays aren’t the busiest time. That was oh-so wrong. We got lucky and we were the last walk-ins they took that day since they had a reservation for *72* people for this pig. My husband got the pork since I was feeling less than well thanks to overeating the rest of the day. You get a ‘select draft beer” with the pig roast meal but alas, the select beer was Coors and similar things. Husband told them to just not bother and get him another ale, the name I’ve forgotten. After this, we headed back to Hammondsport. The evening was completed by a quiet evening of tea, and reading books in our room. Next Finger Lakes post – the Genesee brewery, the lower part of Seneca lake, etc. Next Post Not So Polite Dinner Conversation – Giving credit where credit is due?